Doc Damon turned and looked up the moment he stepped off the porch. He saw the weather vane on the farmhouse pointing north. 'Oh, heck,' he muttered as he passed his hand through his silver hair. They were used to the wind coming from the west. That's the prevailing wind in East Texas. That wasn't so bad. Dallas only took one air burst. The fallout and radiation had mostly dissipated by then. The wind almost never blew from the south, where the ruins of Houston were slowly being reclaimed by the Buffalo Bayou. But from the north . . .
Kansas City, St. Louis, even Chicago – good old Chicago, where Mayor Daley stole the election for Jack Kennedy – still glowed at night like an old alarm clock. Radiation drifted in with the wind from the north, from the ruins of the cities as well as the craters where the missile silos had been, scattered across the Mid-West plains. Damon walked back in the house and dialed the university. Dr. Roger Damon lived ten miles from Texarkana, but there were only dirt roads from his farm to the highway, and what was once I-30 was now a patchwork of potholes. The provisional Republic of East Texas had cordial relations with the Free City of Tyler, which had kept the oil flowing all these years from the pump jacks scattered throughout the Piney Woods. 'Thank goodness they've kept the refinery in Tyler running,' he thought. As he neared the city, his battered Chevy pickup rumbled over a wooden replacement bridge where the original concrete structure had crumbled. He could feel the planks sag. 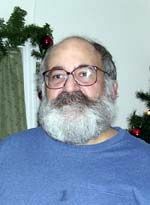 Damon was a professor emeritus of agricultural sciences. Tom Ledkins was the ag department head now. The old man recalled when his new grad assistant arrived from UT-Austin in the summer of '62. They had just settled in together when it happened. October 1962 – that's when everything ended. That's what people often said when referring to the war. The Provisional Republic of East Texas was strung along the I-30 corridor from Sulphur Springs to Arkadelphia, one of many polities which arose in the interstices of the ruins of civilization in America. Texarkana was its capital, and what had once been the University of Texas' branch in the city had been, for over 40 years now, the only college in the region. Tom Ledkins came to the UT-Texarkana campus in September 1962 to be Damon's grad assistant in plant genetics. He was there when the missiles flew. He had helped keep the university up and running all these years, as Doc Damon's protegé and right-hand man, and had taken over as the department head when the old man retired a decade before. The old professor still kept an office for whenever he drove into town. He rubbed his backside as he slid out of the seat of the ramshackle pickup, and steadied himself on the running board. He looked at Ledkins and grimaced. 'I'm getting too old for this,' he groused. 'You're always complaining about one thing or another,' said Ledkins with a smile. The pair walked to the university greenhouse. The old man ran his hands over freshly picked ears of corn. 'Yes. I think the genomes have stabilized,' said Ledkins. 'I wondered years ago whether I'd live long enough to see this,' said Damon with a slight waver in his voice. Ledkins knew what he meant – the end of mutations and defects. 'Some people thought the die-offs and mutations would never end,' said Damon, almost to himself. Ledkins ran his hands through a pile of purple-hulled peas. The younger man walked over to a desk and picked up a sheaf of papers. 'They're interested because we've had to deal with ongoing problematic background radiation for so long. They have completed some fascinating research on human chromosomes – research we probably would have carried on if things hadn't been so bad here. He looked across the lab table at the old man. 'Well, the two main research groups, in the RSA and New Zealand, have been able to carry on that research,' said Ledkins. The old man waved his hand in the direction of the university lab building as he mopped his brow with the other. They continued to talk as they walked into the academic building, where an evaporative cooler put out gusts of moist air. 'What do they want with us?' asked Damon. 'They think they've identified a non-coding gene segment in the human chromosome that may offer some somatic resistance to radiation,' said Ledkins. The old man sat down heavily on a stool in the lab. Ledkins walked over to his old battered binocular microscope which still had Property of the University of Houston embossed on a metal plate at its base. The best Bausch & Lomb had to offer at one time, it had been retrieved from the ruins of the city in the 1970s. He squinted as he flicked the switch and popped in a slide. He peered intently into the eyepiece. They both turned as a young dark-haired woman walked into the lab. He pointed in the direction of the window and the greenhouse they had just left. 'Sounds like y'all have everything under control,' said Damon as he rose. Ledkins and Thompkins smiled at each other. 'It's nice to see him come in every so often,' said the grad assistant after he left. 'I know, it helps keep him up and about. He's almost 90 now, you know,' said Ledkins. He flipped through a box of slides. 'He's one of the last of the generation who got us through those times,' he said as he popped another slide in. 'You were there, too,' she said. He turned his head to smile at her. Ledkins caught a flash of his black armband out of the corner of his eye as he reached forward to make some adjustments to the Confocal microscope. He leaned back. Doc Damon had been gone a month now. It was time to move on, he thought. He took the armband off, and folded it neatly in his desk drawer. As he sat back down, he remembered that his old friend and mentor died the day after the microscope arrived. He had never seen it. It was people like Damon, he thought – the same hard-working level-headed people who were left behind after It All Ended – who had worked day and night to stabilize society and keep civilization going. The bombs had done the worst damage, but the famine and breakdown in society had destroyed just as much – if not more. Places such as Austin, where Ledkins remembered so many good times in college – and which hadn't been touched by a bomb – had slid into barbarism. They said the Warlord Whitman and the Barton Springs Banditos still ruled the city with guns and blood. It would be easier to send settlers into depopulated areas than to fight to bring back the rule of law to places such as that, where the people had destroyed themselves, he thought. He heard Jeannie come into the lab. He spoke without looking up. 'These three samples you indicated all seem to have the radiation-resistant DNA moved to where it would be somatically effective,' he said as he leaned back from the microscope. 'Of course, I would suppose with so many people walking around with shattered genes after the war,' he continued, 'some of the ones we've been looking for would float around and settle where they would be effective. There was something in her voice that made him look back up again. Ledkins pushed his stool back. Mike Vega's home was just past the cordon maintained by the Texarkana Municipal Militia. Because the roads were so rough, Ledkins took Doc Damon's old Chevy pickup which the old man had left him, rather than subject his Corvair to the pounding of the road. When he pulled up, Vega was hacking at the hard, dry earth with a hoe. The old man looked up. Ledkins pulled off his hat and nodded respectfully. Vega let his hoe drop. They shook hands at the gate. The old man still had a firm clasp. They both laughed, and Vega motioned the professor inside his small frame house. It didn't have electricity, but the widower had a refrigerator that ran on propane. He poured Ledkins a tall glass of iced tea and crushed some fresh mint from his garden. Vega poured a glass himself and Ledkins looked at him – carefully, but respectfully – as he drank. The old man has Indian features – very Mayan, thought Ledkins. Perhaps that was a clue. He knew it would be impolite to come right to the point, so he made small talk for 15 minutes before Vega wiped his damp hands on the front of his overalls and put his hands on the table to signify it was time to really talk. Ledkins spoke simply and clearly about what he had been researching, and looked carefully to see if the old man followed him. 'Yes, but your father and his father didn't live their lives with the poison in the air we've had since the war,' said Ledkins. 'This wasn't the first war our people have lived through,' said Vega. 'Certainly, the first of this kind,' said Ledkins. The professor stopped in mid-sip. The old man chuckled in a very sardonic way and then looked very stern. The old man laughed again at the professor's expression. The old man leaned on the table and looked down his nose at Ledkins. The old man nodded at the professor's stunned expression. Vega laid his hand on his chest. 'I don't know what to say,' Ledkins stammered. The old man's expression changed completely. He put on a big smile. As they walked to the road the old man cast a brief downward glance which told Ledkins he had been respected with a great insight. They shook hands, and the professor made the dusty drive back into Texarkana in Doc Damon's old pickup. He leaned into his desk and dropped his first draft of the report into a drawer. As he leaned back, he looked down and noticed a steel blue revolver – like the kind Mike Hammer would have used – nestled in the back. Everyone carried guns, back in the first days after the war. He'd had to use it a few times himself. The thought of the futility of it all passed through his mind like a mist. A thought that made him dizzy. He looked down and shoved the drawer shut with his foot. He looked up and saw she was smiling at him. Ledkins shaded his eyes against the late afternoon sun. He walked over to the window and watched the young lady get into her patched up Rambler and drive away. For a brief second he focused on his reflection on the glass. He sucked in his breath as he thought he saw another man looking back at him – a very different man, in jaguar furs and gold ornaments – a very different man, but with the same expression as his. He looked again and saw it was indeed only his reflection. 'Some time in the past, another man had to make a similar decision,' he thought. What made it worthwhile wasn't to do it for yourself, he thought, but for the next generation. Just as Doc Damon had kept going – when he knew he'd never live to see things really get back to normal – now it was his turn to help the next generation rebuild. 'Perhaps the next time won't be as bad,' he thought. Story Copyright © 2007 by Lou Antonelli. All rights reserved. Illustration Copyright © 2007 by Marge Simon. All rights reserved. Lou Antonelli lives in deepest darkest East Texas. He is a professional journalist and has won awards in news, feature, column, sports and editorial writing from the Texas Press Association and the North and East Texas Press Association. A member of the Science Fiction and Fantasy Writers of America (SFWA), Antonelli got a late start in his fiction writing career; his first story was published when he was 46 years old. He has had 29 short stories published since June 2003. His steampunk short story, 'A Rocket for the Republic', was the last story accepted by Gardner Dozois before he retired as editor of Asimov's Science Fiction after 19 years. It was published in Asimov's in September 2005. He has received eight honorable mentions in The Year's Best Science Fiction published by St. Martin's Press for 2006, 2005 and 2004. Now why not head over to our forums to discuss this story with other Darker Matter readers. Or vote for it, in the poll over on the right. There are other discussion boards on the Darker Matter Forums as well, so it's well worth checking them out.